Every time I enter the nursery bit of a department store I spot worried-looking parents touring the travel systems and fixated on the fact that they *really, really* need a particular £8350.54 buggy because otherwise their baby won't grow up happy/healthy/middle class. I know some people bought their pricey buggies second/third/seventh hand and some think they're an excellent investment. But I thought I'd put together a TONGUE IN CHEEK (don't kick me.. I haven't slept in six nights) guide to the simplest way to pick a buggy. Sugar Magazine-style (does that age me?) - just match your personality to your (baby's) ride. or prepared to go into debt to buy a fabric chair on wheels. 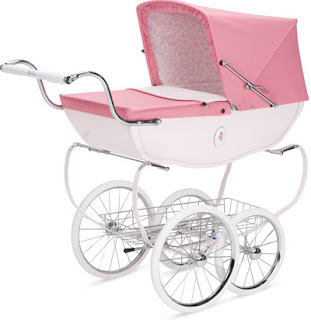 You secretly like the idea of having the same buggy as Kate, George, and Charlotte, (but won't tell anyone that). Your bag is Vuitton, your ring is bling, your everyday jeans are Diesel (and you'd love a buggy that matches..). Winter = Ugg biker boots; summer = weekly pedicure. 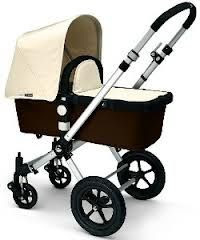 You need to buy the icon of conspicuous consumption for the parent - you need a... Bugaboo Cameleon. and you no longer care how your buggy looks (they're all the same when smeared with the placatory rice cake/yogurt/rusk that you swore you'd never hand over in transit). You want something that folds with one hand because you know the other one will be required to hold your other kid(s), for several hours at a time. You want something that holds its eBay value because you're Definitely Not Having Any More, And you already know what you're buying because everyone's incessantly recommending it: you need a City Mini. and are happy to spend £1200 (plus accessories) on a buggy, even though you know it doesn't self-steer OR have an engine. The cash is really just a bit of last year's bonus, and if you're going to be dashing to Dinky Dancing rather than running the derivatives desk at JP Sachs for two weeks (that's how long you're going on maternity leave - any longer and you'll be dubbed a skiver), you want to do so in style. 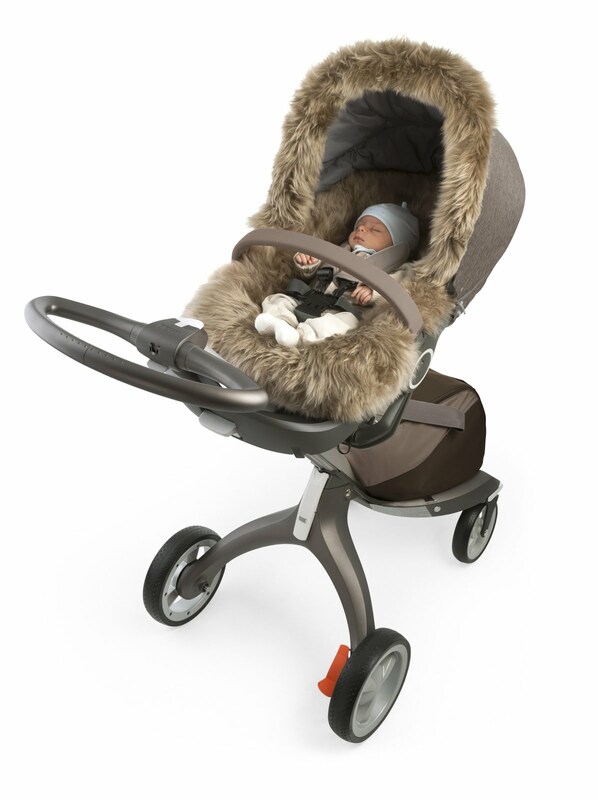 You need to head to one of Chelsea's nursery-curating boutiques and stock up on a... Stokke Xplory. and whilst you can't buy her magical handbag, you really want a sit-up-and-look-at-me old-style pram to stroll around Balham with. The price isn't super important because mummy wants to buy the transport system for her first-ever-granddaughter (you found out it was a girl at an early scan because how could you start shopping otherwise?). So you'll want to buy a... retro Silver Cross Kensington. and your buggy needs to show that you do. It's not a matchy-thing - you wear black every day anyway, especially when you've got a bowling ball growing around your middle - but you need to make a statement and go for a Big Name Collaboration. You're friends with the right PRs so you won't be paying full price anyway. 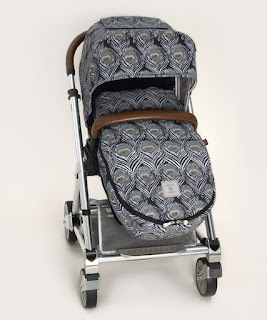 Now the only decision left to make is.. Mamas & Papas + Liberty or Maclaren + Orla Kiely? Why did you pick your pram? I went for a great-value and good-looking Cosatto and love it bar the fact it doesn't fit in my car boot in one piece. What's your buggy-buying advice? Please comment below. I chose an Uppababy Vista and still love it 3 years on. 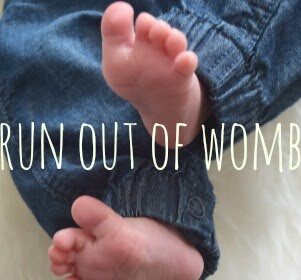 I had researched a lot of prams online and knew when I got pregnant, that's what I would go for. I liked the Bugaboo Bee too but am so glad I went for the Vista. It literally includes everything you need and is in my opinion, better than the Cameleon! I chose a Jane Trider with Matrix car seat - the ability of the matrix to be both a carry cot and car seat in one was what sold it to me. 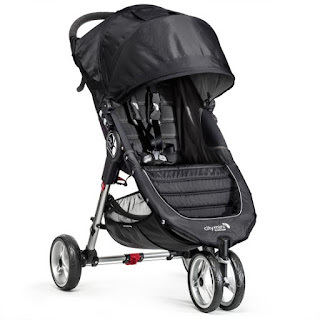 the Trider is a fabulous buggy in many ways, as is the Crosswalk in the same range.